Rabbi Joseph Dweck is the Senior Rabbi of the S&P Sephardi Community of the United Kingdom. 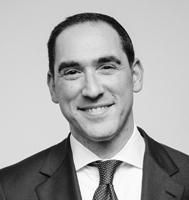 Rabbi Dweck is American born and has lived in Los Angeles, California and Brooklyn, New York. After high school, he studied in Jerusalem at Yeshiva Hazon Ovadia under the tutelage of former Sephardi Chief Rabbi Ovadia Yosef z”l. He also studied psychology and philosophy at Santa Monica College in California and received a Bachelor of Arts degree in Liberal Studies. He received his Semikha (rabbinic ordination) from Rabbi Ovadia Yosef under the auspices of the Sephardic Rabbinical College of Brooklyn, New York. Rabbi Dweck served as rabbi of Congregation Shaare Shalom, a Syrian Sephardi synagogue of over 700 members, in Brooklyn, New York from 1999 to 2014. Rabbi Dweck also served as Headmaster of Barkai Yeshivah, a large Jewish day school in Brooklyn from 2010 to 2014. He has an eclectic taste in music and has received training as a hazzan in the Oriental Sephardi tradition by Rabbi Rephael Elnadav z”l and Cantor Moshe Habusha. Currently, Rabbi Dweck resides in London with his wife, Margalit, and five children.